My semester abroad is reaching the halfway mark. It’s crazy to think that I have already spent two and a half months here. Australia has not only shown me some of the most beautiful scenery I have ever laid eyes on, but it has given me so many memorable experiences. Knowing that I am nearly halfway through my semester is bittersweet. However, I still have the second half to continue making memories, experience new things and meet new people. The best part of reaching the halfway mark is that I cherish each day more as time goes on. One of the keys to happiness is treating yourself; my version of the greatest treat is travel. So, I treated myself by booking my flight to Fiji. One of my favorite ways to approach decisions is with spontaneity. There is no better feeling than getting a sudden idea, and in that moment, choosing to make it happen. This gives me this sense of satisfaction and accomplishment. The entirety of the trip was completely done on a whim. I enjoyed this because I never knew what to expect. Although planning is crucial to vacation structure in most cases, too much of it can take away the thrill of making spur of the moment decisions. 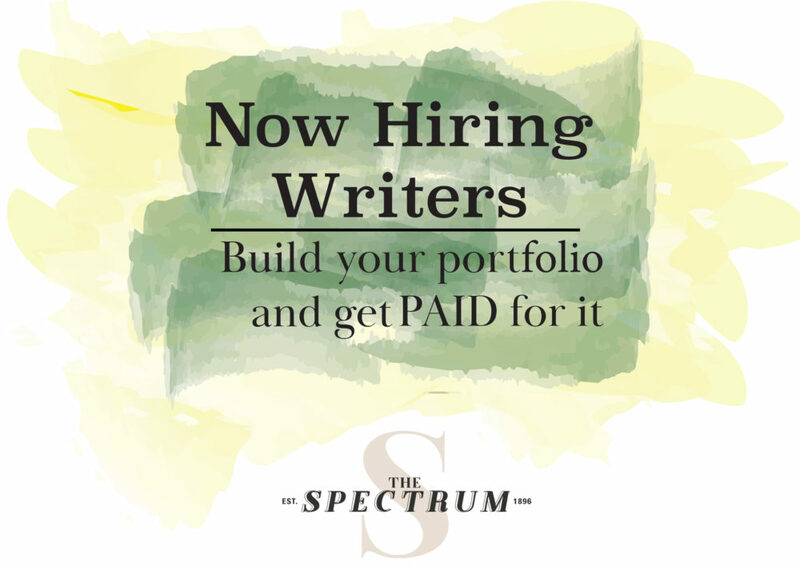 MADISON HAPKA | THE SPECTRUM From the islands of Fiji. 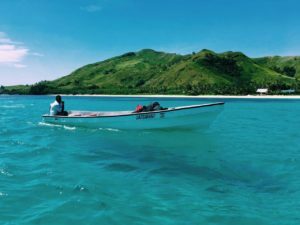 Fiji has so much culture to offer, which came as a slight surprise initially, but this allowed me to appreciate the extreme differences in comparison to Australia and the US. Although the Fijian people do speak English, there is a slight language barrier. Communication isn’t quite clear, and there are certain words and phrases that you have to replace in order to effectively emphasize what you are trying to say. On the second night, the greatest sense of culture shock hit when we were preparing for dinner and the staff at the resort showed us how our food was being prepared. In Fiji, the people use underground cooking on special occasions. This means the meal is wrapped in palm tree leaves, covered and then put underground to cook. This process takes about 45 minutes, and although it was very strange to witness, the meal was impressive. When we initially decided to go to the islands, I felt as though I had an idea of what they would be like, because of the island hopping that I did in Greece last summer. I was completely wrong. The islands that I experienced in Greece were much larger, and they resembled a city with surrounding beaches. The islands in Fiji were extremely small and remote. This turned out to be one of the best things I could have ever wished for. Although there was access to the internet on two of the three islands, the time to use it was limited. At first, this seemed overwhelming. After a day without it, I learned to appreciate the cleanse. Having multiple days on a beautiful island without social media and the outside world is something that I would highly recommend for anyone. You find new ways to entertain yourself, you find yourself paying closer attention to the conversations that you have with people that you meet and you give yourself time to focus on the present moment. We met people from Sweden, England, Iceland, Switzerland and many others. One of the Fijian men (Jim) on our second island, was one of the coolest people I have ever met. He was originally from a different island but had recently taken a job on the island where we met him. He spoke substantially better English than the others because he attended a local university where he earned an undergraduate degree. He gave us a Fijian lesson, where we learned how to say a few words, as well as some of the history of the Fijian people and their villages. We learned that each village in Fiji speaks their own language, but there is a universal language that people from all of the villages can use to communicate with each other. When we were talking about tourists and our generation, he was telling us how it makes him sad when there’s this great sunset over the water and people rush to take out their phones to capture it. My favorite thing that he said to us was, “sometimes you have to let your eyes be the camera.” Following that night, I promised myself that I would watch the next sunset and just enjoy it without any pictures and it was one of the best feelings in the world. Being able to stop and appreciate the little things without any documentation of them is something that this generation is letting slip through our fingers. 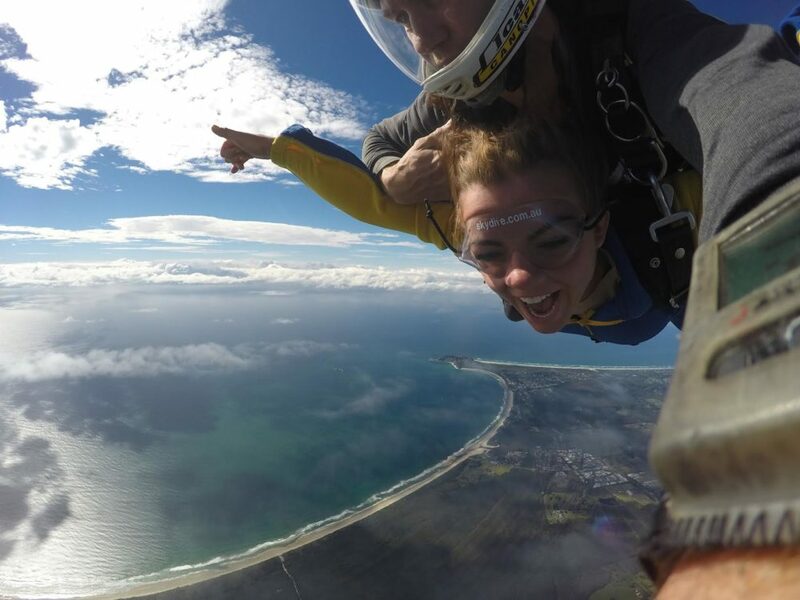 MADISON HAPKA | THE SPECTRUM Skydiving in Byron Bay. 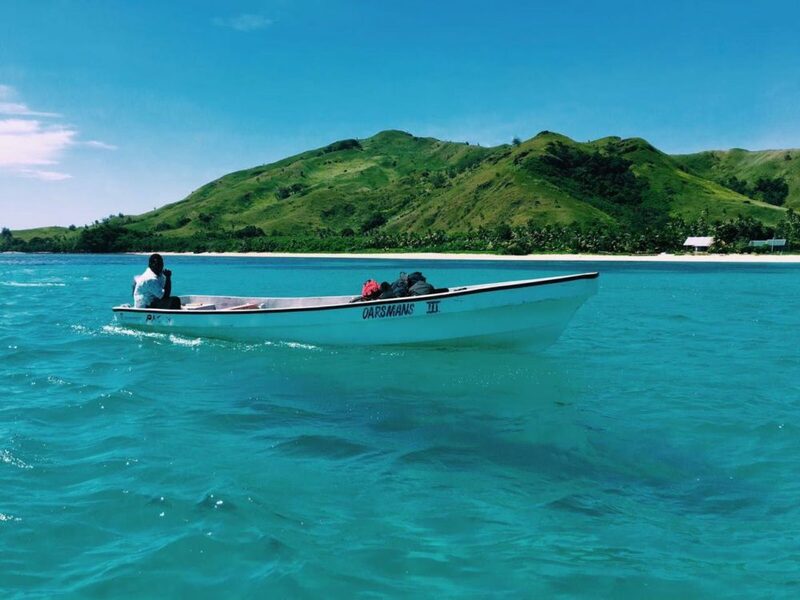 The highlights of Fiji were the people that we met, the gorgeous islands that we saw, the ridiculously clear blue water, the snorkeling that we did and the time that we took for peace and quiet. 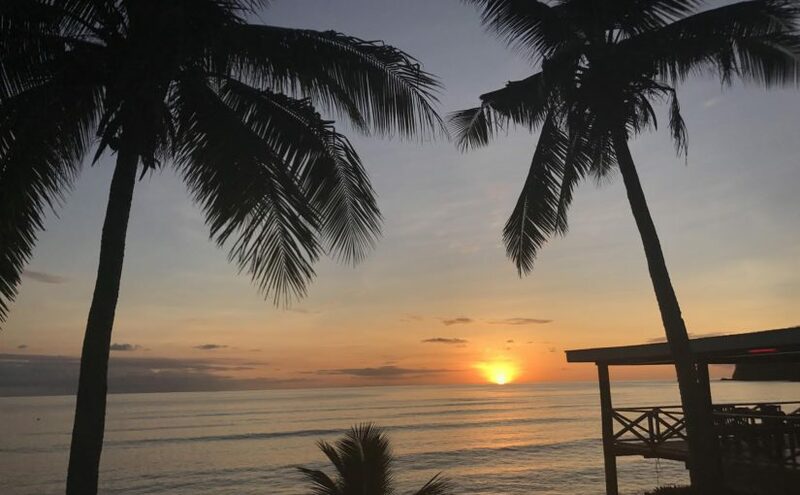 Fiji is somewhere that is individually significant in several ways and somewhere that I will always appreciate for everything that it taught me about myself. 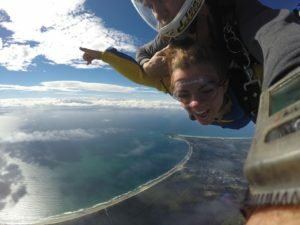 My most recent exciting experience following Fiji was skydiving in Byron Bay. It was the best feeling I have ever experienced. Falling through the clouds and being able to wave to my good friend across the sky was something that I will never forget. The adrenaline was unmeasurable and I will cherish that memory forever. With each new place that I explore, the urge to see more continues to grow. As much fun as I’ve had going out to the nightclubs here, I would take a weekend trip to a new place over that any day. The first half of my semester has been filled with a lot of local trips, but this second half will be filled with several trips far from the Sunshine Coast.